Image Credit: U.S. Navy photo by Petty Officer 1st Class William John Kipp Jr. Even if true, India would never admit its premier and the Pakistani army chief were in direct contact. India has flatly denied an April 23 report in The Times stating that Indian Prime Minister Manmohan Singh had unofficially contacted Pakistan Army Chief Gen. Ashfaq Parvez Kayani before the leaders of the two countries met in late March. ‘We have seen media reports quoting a British newspaper saying that Prime Minister Manmohan Singh contacted Pakistan Army Chief General Ashfaq Parvez Kayani before the Mohali meeting between the two prime ministers. The report is false,’ the Prime Minister’s Media Adviser Harish Khare said on April 24. However, the UPA II government has been acutely aware for quite some time now that not only is Pakistani politics and civil society in trouble, but that the Pakistan Army has also become the only power centre that matters in the country. As a result, India has no option but to have a direct line to Pakistan’s army chief. Still, the Indian government wouldn’t ever want to confirm direct contact between the highest political levels in India and the Pakistan army chief, for multiple reasons. Second, such direct contacts clearly raise questions over proper diplomatic protocol. 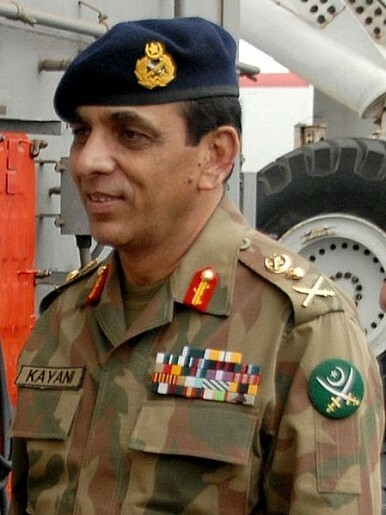 If Kayani is to be engaged by India, then the appropriate Indian interlocutor would usually be the Indian Army chief. The problem is that while the army exercises defacto control over Pakistan’s foreign policy, in India, the army is apolitical and hence has no such clout. Singh’s denial should therefore be taken with grain of salt. Meanwhile, Rahul Gandhi, the Lok Sabha MP who’s widely seen as next in line for the premiership in India, is reportedly working hard to fine tune his knowledge of India’s Pakistan policy, and is said to have been consulting closely with Pakistan experts in India.